How fun are these woodland friends all hanging out in a stocking?!! 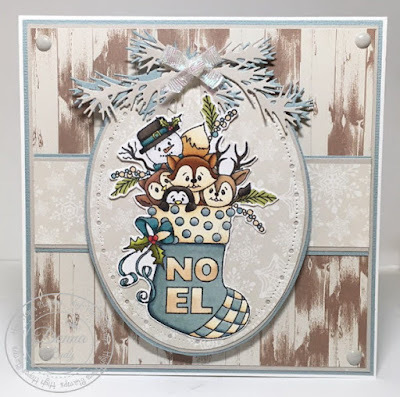 When I saw this stamp I knew I wanted to colour it up in some earthy tones and find a way to make it look like these cute friends are hanging from a tree branch. What was in my head didn't work out and this card went totally sideways from "the plan" but I am happy with the end result. 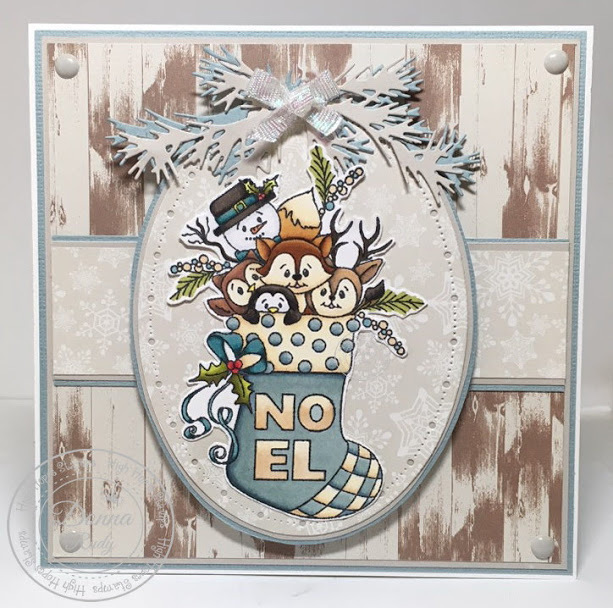 Meet "Woodland Stocking" from the new Woodsy Christmas release! After colouring these cuties with alcohol markers, I cut it out using an oval die. I chose some matching wood and subtle snowflake paper for my background. 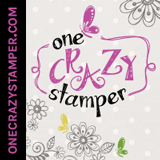 The stamp was hand fussy cut leaving a thin white border. Next I cut some matching branches for the top of my oval. 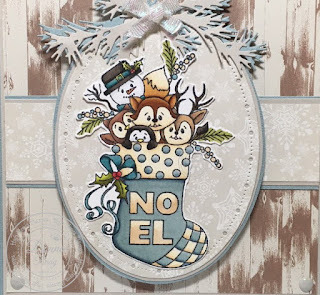 I chose not to add a sentiment because I thought the Noel on the stocking was perfect. I added some clear sparkle pen to each letter for a bit of bling. A glitter ribbon bow and enamel dots finish off my card.